Albinism is a genetically inherited condition which is very rare and, worldwide, affects approximately one in twenty thousand people. 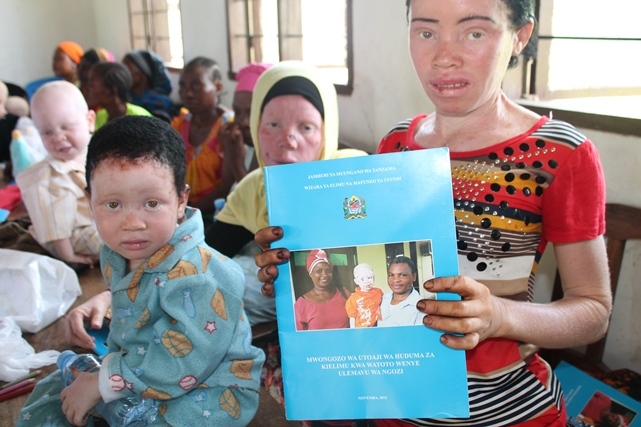 Although rare in the western world, albinism is quite common in sub-Saharan Africa, likely as a result of consanguinity (being from the same kinship as another person). 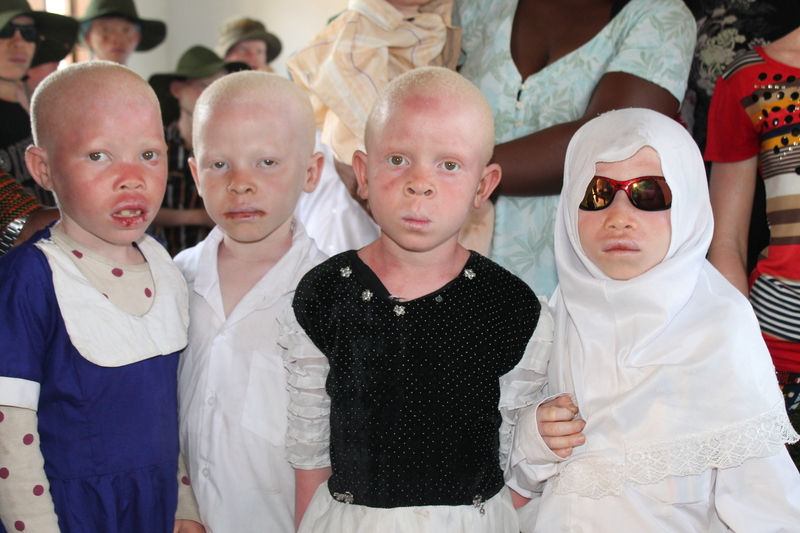 In Tanzania, albinos represent one in every 1,500 births, a much higher rate than in any other nation. Very few understand or are educated about the medical and genetic causes of this condition. Many locally believe it is a punishment from God or bad luck. 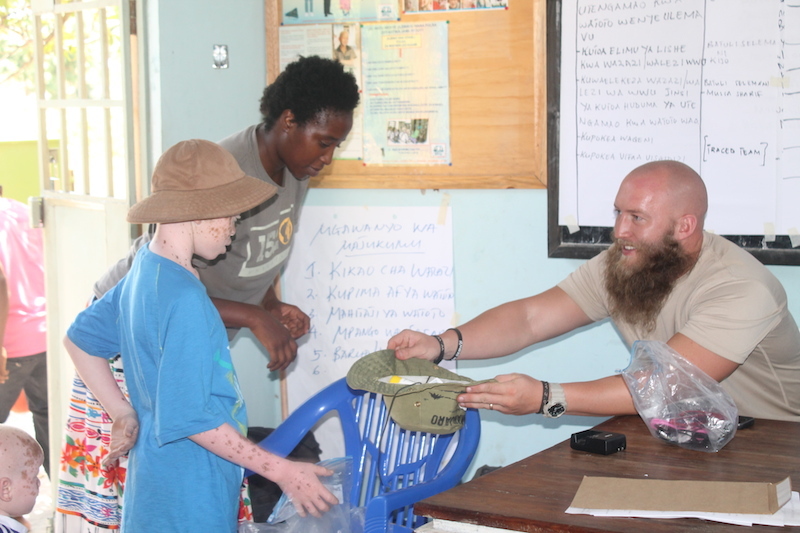 This lack of knowledge about people with albinism means that folktales and superstition take the place of medical facts in the minds of many local people, which in turn has major effects on the social integration of people with albinism into Tanzanian society. A large percentage of albinos die by the age of thirty for reasons which could easily be prevented, i.e. persecution and cancer. We act as advocates for the local albino population. We hold quarterly events in three areas of the coastal region. 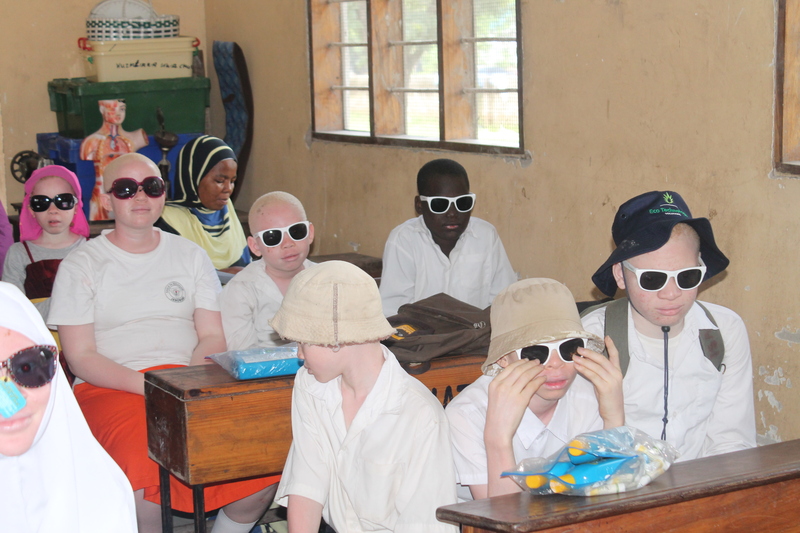 We work through the local school system to identify young albino students and invite them and their families to our events where we educate the albinos on what albinism is and skin care. We distribute sunscreen, lip balm, sunglasses, and long-sleeved attire and share a meal together. We ask everyone involved to invite any albino person they see, and they have been! Our quarterly gatherings grow larger and we can see improvement in the skin condition of many albino people. Our work is important because sunscreen and lip balm are scare in Tanzania, and where available (major cities) they are prohibitively expensive. The majority of albinos, if they live through persecution, die at a very young age (30-35 years old) due to skin cancer and other skin ailments. Our work is potentially lifesaving and we thank God for the opportunity to impact lives and hopefully change engrained patterns of thought. We currently ship all our sunscreen and lip balm from the United States. We continue to look for resource partners as we strive to make this ministry sustainable. Please contact us for more information.